IBPS PO 2016 – IBPS PO/MT-VI Notification, Exam Date, Online Application Form: IBPS Notification CWE PO/MT-VI 2016-17 for Probationary Officer/ Management Trainee in Officers’ Cadre. 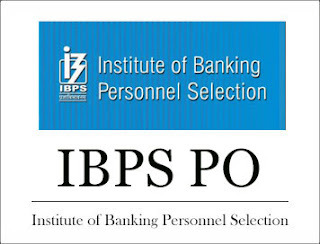 IBPS PO 6 announced. The much awaited Bank PO exam notification of the year finally announced. Are you looking for IBPS PO notification? Recruitment of Probationary Officer/ Management Trainee or in a similar post in Officers cadre in various public sector Bank is finally issued by Institute of Banking Personnel Selection (IBPS) on behalf of Indian Nationalised Banks. Here is everything you need to know about IBPS CWE PO/MT-VI exam 2016. The Institute of Banking Personnel Selection (IBPS) conducts Probationary Officer/ Management Trainee (PO/ MT) exam once a year. Here we have come up with complete details about IBPS PO/MT-VI 2016 such as IBPS PO notification, advertisement, exam schedule, exam date, tentative dates, online application form, syllabus, exam pattern post details and more. selection of personnel for Probationary Officer/ Management Trainee posts in the articipating Organisations is tentatively scheduled in October / November 2016. Since last few months, there were rumours that IBPS PO/MT-VI Notification will be announced. And it became reality now as IBPS has finally announced total 10000 Probationary Officer (PO) vacancies in Public Sector Banks. All we have the IBPS PO/MT-VI Exam 2016 notification. Graduation in any discipline from a recognised University or any equivalent qualification recognised as such by the Central Government for Probationary Officer/ Management Trainee (IBPS PO VI) is required. The Examination will comprise of Online Examination in two phase; Preliminary and Main. RBI Grade B Officers 2016 Notification. RBI Grade B Officers Recruitment 2016. If you are looking for more details of IBPS PO/MT-VI 2016 Notification for detailed information about notification, exam dates, number of vacancies, online application form, how to apply online and other details, keep in touch with our next posts.